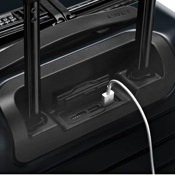 A Better Carry-On = Smoother Travels | Valet. The extra fees. The time spent waiting at baggage claim. And that's assuming the bag will be there when you land. The only way to pack nowadays is within the 45 linear inches allowed by the FAA. When it comes to a carry-on, what you choose to carry can be the difference between a great trip and a hellish travel experience. 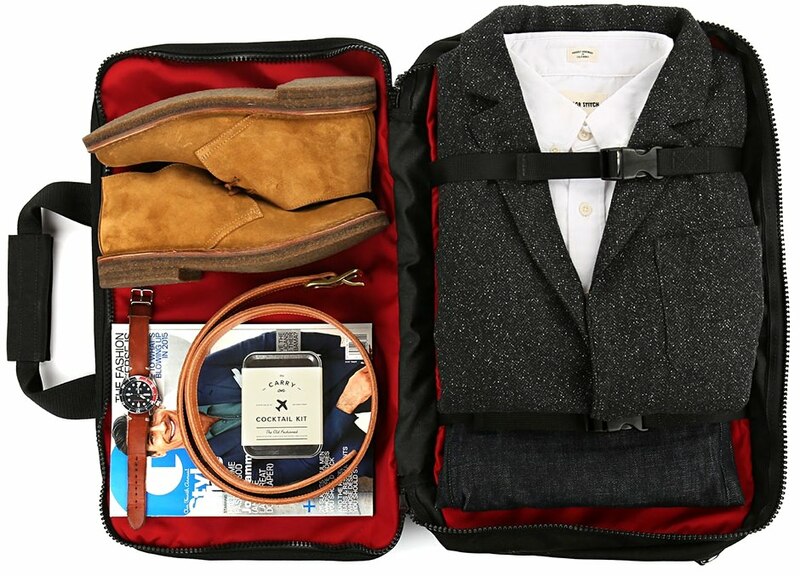 Depending on the type of traveling you do or how you like to pack, we've put together the Valet. team's four favorite carry-on bags. Our friends at Huckberry introduced us to The Air Boss as " a serious bag for those who are serious about traveling light without sacrificing the things you need." 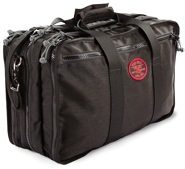 Built tough (and guaranteed for life), this weather resistant Swiss-Army-style bag contains large interior compartments with adjustable buckle tie-downs and two outside zippered slip pockets, one sized for smaller items like your passport and a larger sleeve perfect for magazines or your iPad. $255 by Red Oxx Mfg. 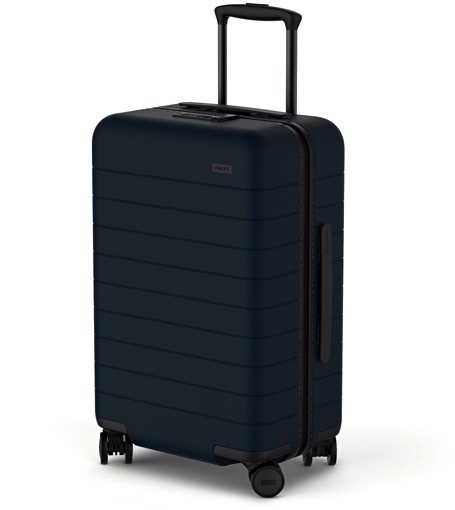 Invented by two former Warby Parker execs, Away's signature wheeled suitcase is outfitted with silent Japanese 360-degree spinner wheels and a removable laundry bag. But the feature that excited us the most is the ingenious built-in battery that will juice up your phone or tablet up to five times on one charge. 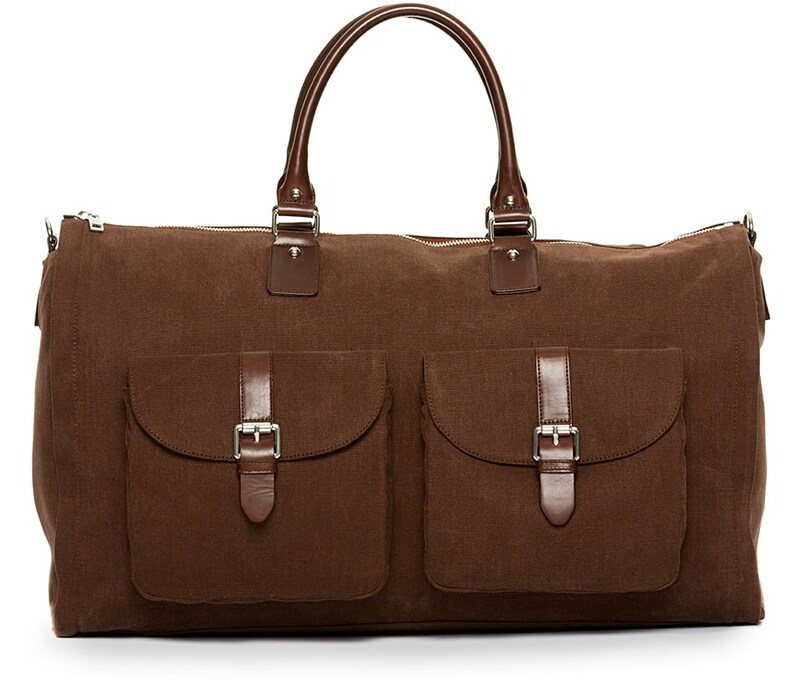 This handsome bag combines the functionality of a garment bag with the pack-it-up portability of a classic weekender. 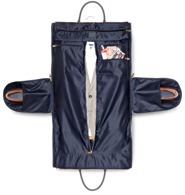 The duffel bag unzips fully flat to allow you to store suits or jackets within the lining for wrinkle-free storage. 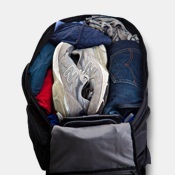 There are also convenient compartments in the side flaps to safely store shoes. Then fill the bag as you normally would. 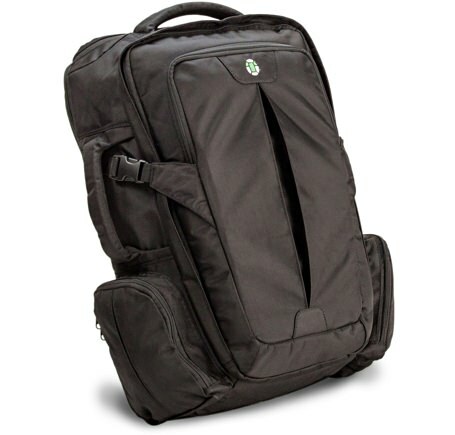 For those that don't want to mess with lugging their luggage by hand, this spacious yet compact backpack does the trick. Cleverly designed interior sections keep your stuff secure and organized while quick-access pockets ensure you're never digging too deep to find what you're looking for. And the padded straps make carrying it a breeze. Every airline has different carry-on overhead bin sizing requirements these days. Red Oxx rounded up all the major airline's rules in one handy guide. Easy ways to make your next trip your easiest (and most affordable). Some tricks of the trade that will guarantee a stress-free journey.